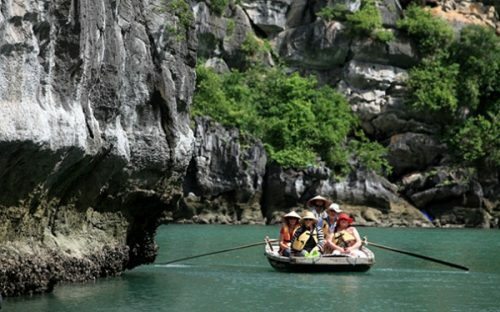 Halong is beautiful not only under the sunshine with poetic landscapes but also at night with the clear and warm atmosphere. The feeling of going for a walk in this city at night is very strange, which can make your soul become quiet and comfortable. Nightlife in Halong will certainly bring you many memorable experience. Located in Halong Marine Plaza commercial complex, Halong night market is very well-known for domestic and foreign travelers although it has opened for one year. It has opened since the beginning of 2015 to replace for the old night market in Bai Chay tourist resort. Moreover, Halong night markt was established durably with concrete floor, system of light, fans, convenient parking lot and so on. This market’s area is about 5000 square kilometers with 335 stores which sell souvenirs, cloths, special food and many kinds of good. 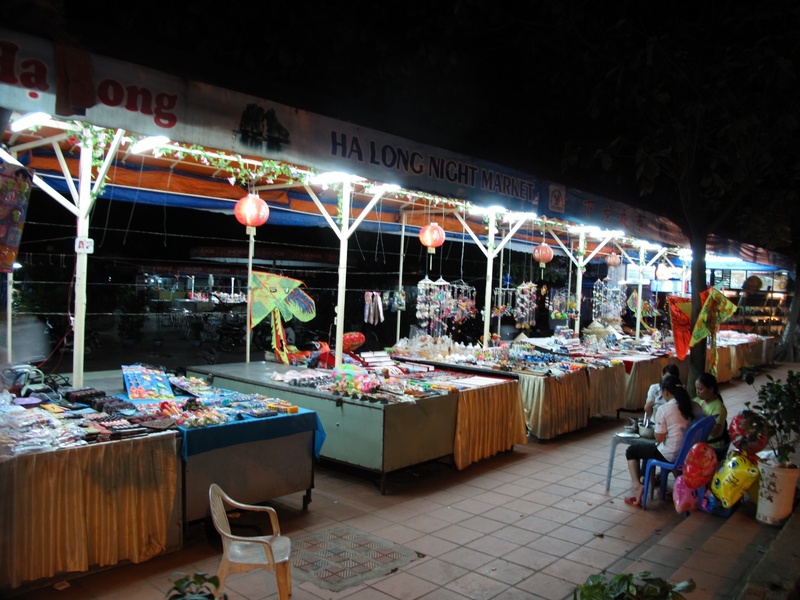 Because of the specific business model, Halong night market almost serves only tourists to visit and go shopping. 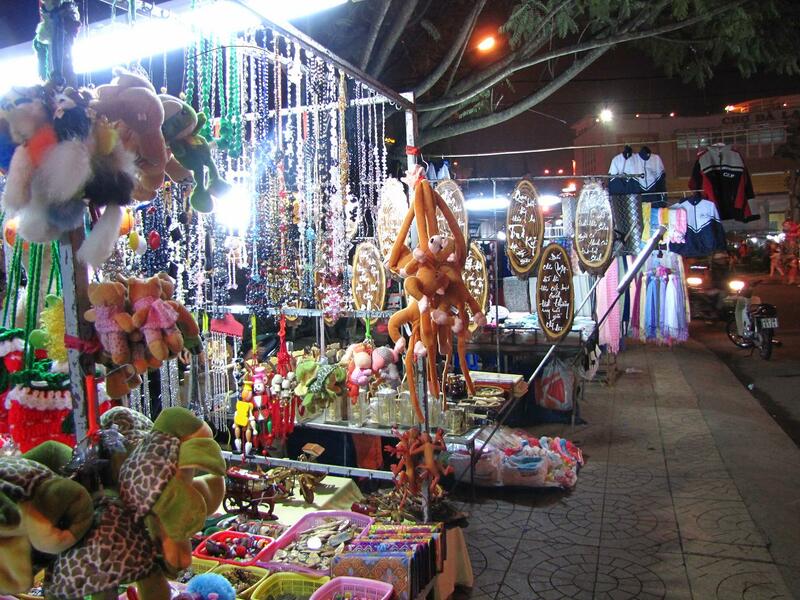 Therefore, the kinds of good here are mainly souvenir, handicraft, jewelry, handbag, swimsuit, fashionable cloth and non la. Besides, there are some kinds of traditional product which are made delicately by skillful artists such as embroidery, lacquer painting, pearl bracelet, sculpture and so on. 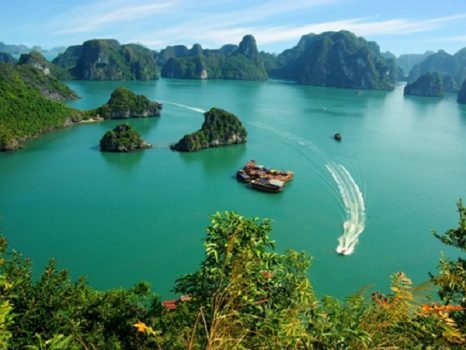 Visiting this special market, travelers usually choose to buy some small items which has the mark of coastal city such as beautiful key chain, pearl necklet, ring or some T-shirts which are printed with the image of Halong or Tuan Chau. 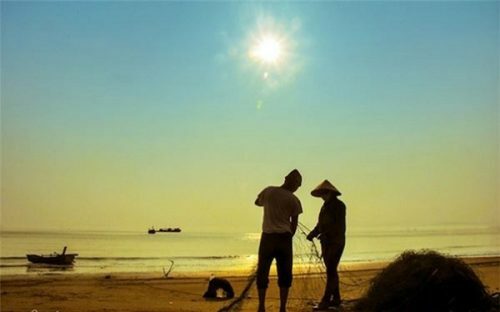 In particular, tourists can buy some products made by coal which is a typical mineral in Quang Ninh. Furthermore, travelers can enjoy many delicious kinds of food here because the culinary area is very large and always ready to serve customers. You can choose some fast food, snacks and especially special food which has typical savour. 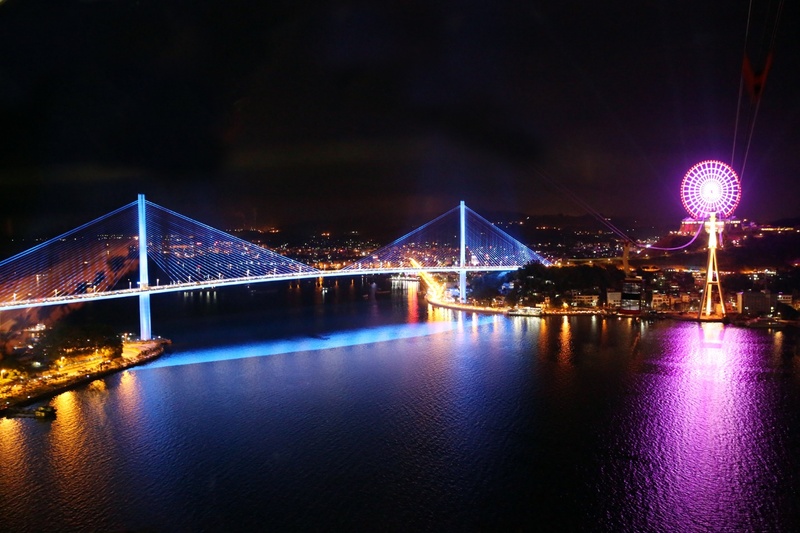 Bai Chay Bridge is one of the most famous bridges in Halong. It is lightened up by system of 9000 lights with 16 million of colors, which makes a unique performance. Since being generated, this special bridge can attract many local people as well as visitors. 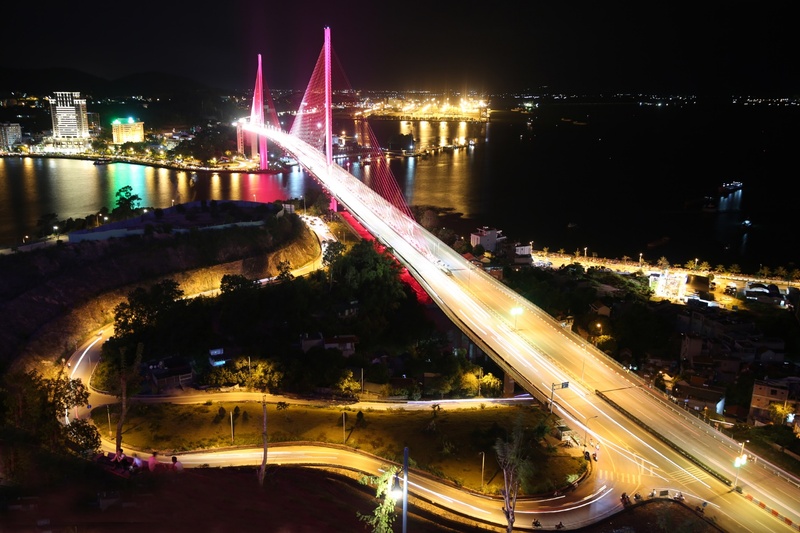 At night in Halong, Bai Chay Bridge becomes more sparkling and twinkle, which contributes to the magnificent beauty of Halong city. Standing on this bridge, tourists will have chance to contemplate many romantic landscapes such as Bai Tho mountain, Cai Lan harbor or every houses and road in this coastal city. Moreover, you can feel cool air and hear the sound of the city clearly. Nightlife in Halong brings this city a strange and unique beauty. Moreover, it helps tourists feel many special moments which they seldom have. From that, their soul becomes opener, fresher and lighter. Coming to Halong, you shouldn’t miss the chance to dip into the beauty of Halong nightlife.